All-Purpose Cleaner Leaves A Long-Lasting, Fresh Scent. 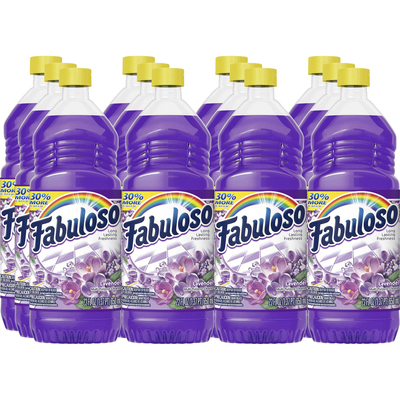 Effective For A Wide Variety Of Cleaning Applications, Fabuloso Multi-Use Cleaner Cleans Floors, Wall, Kitchens, Foodservice Areas And Restrooms. Advanced Technology Formula Penetrates Deep Into Surface To Capture Grease And Soils And Leaves No Residue. Neutral Ph Makes Product Safe For People And Surfaces. 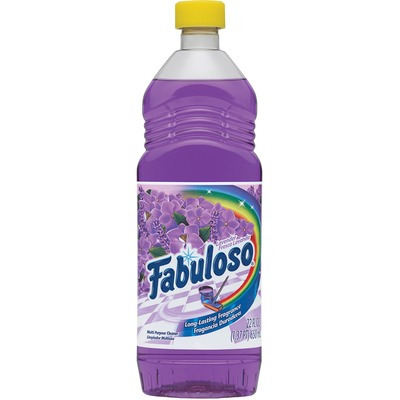 All-Purpose Cleaner Has Bilingual Labeling..